Do you have a burning desire to be a part of making the best games out there? Is game development your number one dream job? You might be just who we’re looking for! We’re currently looking for people especially for the following positions. Even if your dream position isn’t listed below, but you feel Frozenbyte is where you belong, don’t hesitate to send an application regardless! We’re always keeping our eyes and ears open for talent. Click the links below to open more information about the positions and their requirements. We are one of the biggest truly independent high-end developers in Finland. Our work is our passion – we want to create the very best games. We value our employees over everything and we work hard to maintain a creative, feel-good development culture. Developer satisfaction is a key element to functional teams, and they are the key to successful games. We do everything we can to maintain an enjoyable work environment. All of our employees work together, and we have mutual respect towards each other. We have a strong focus on improving our communication and on channelling our passion towards making great games. To help our developers focus on games, we employ a professional catering staff and a strong support team to help with daily routines, and we generally try to make life easier for everyone if at all possible. We’re not confined by some archaic notions of what a workplace should or shouldn’t be like – if there’s something that can help us make better games, then we’ll look into that. We are financially independent and work on our self-owned IPs, using our proprietary game engine. We keep our options open – we don’t create exclusive titles, in fact our games are pretty much all-inclusive, and we enjoy working with every platform. Our independence allows us to move swiftly, and we have been one of the first third party developers on Steam, as well as having done launch titles for the Wii U, PlayStation 4 and NVIDIA’s Tegra K1-powered devices. We also support Microsoft Windows and Xbox platforms, Linux, Mac, cloud services, Android and iOS devices. We love technology. Often we find ourselves drawn to new tech simply because it seems interesting and tickles our geeky side just right. Case in point is the stereoscopic 3D support included in our Trine series – we were sold from the first moment we tried it, and now the Trine games are considered some of the best 3D games by many gamers. We feel that working on great games is the fuel for our passion, and completing a great game is the best way to also make some money in the long term. Money is needed for salaries, great food and beer, but it’s not the reason why we work here. And since no-one can tell us how to work and think, we do it our style. 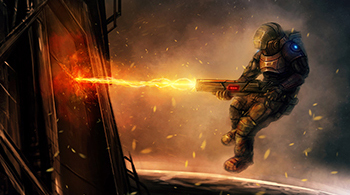 Our games are created without strict deadlines or budgets. With great independence comes great responsibility… We are free to choose how we want to work, and since the beginning we have worked on games that we wanted to create. Now we are using this methodology to make it possible for our employees to enjoy a little bit more freedom in their direct hands-on work. While our new trainees are pretty much assigned to work that is the most beneficial for the company at that point, more experienced developers are given more freedom to choose what they do: the projects they work on, and the type of work they do (specialization). Ultimately the most experienced developers are given the opportunity to lead their own game projects if they so choose. We are not limited by any genre, audience or platform. 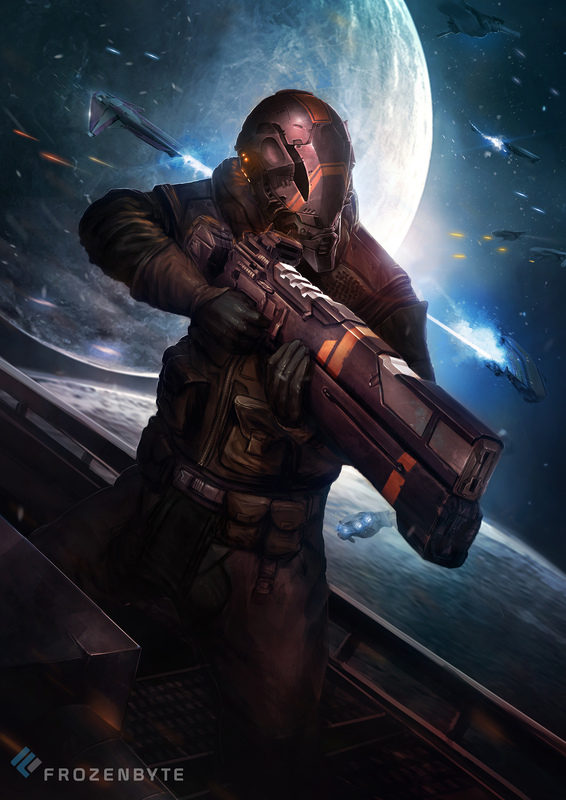 High-end games interest us the most, but sometimes we have a great idea for a mobile game and the next thing we know is that we have formed a small team for that as well. Of course, on a general level, we always aim higher, want to be better, create better games. We are constantly lifting the bar to new heights. 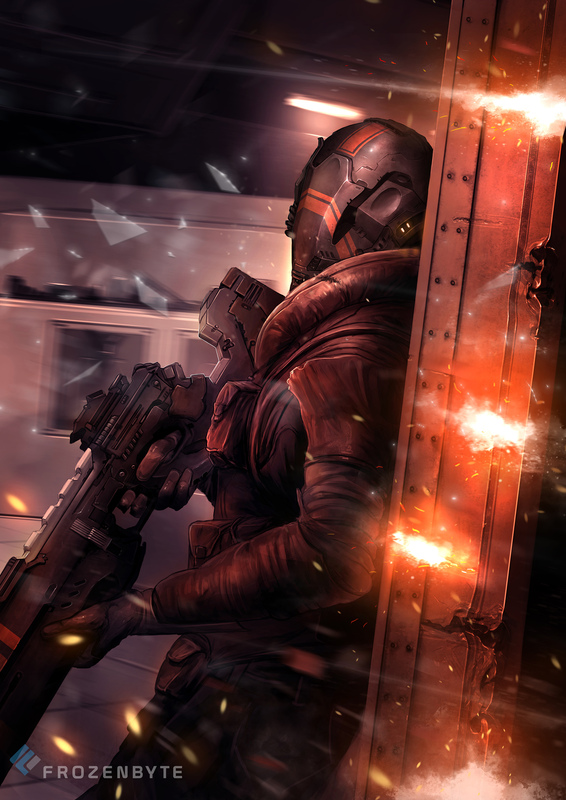 We are currently working on several new games, which include multiple genres and many different platforms. We are not limited by any genre, audience or platform – and we always aim higher, want to be better, create better games. We are currently working on several new games, which include multiple genres and many different platforms. On Friday nights especially we usually have a bunch of people staying at the office, playing games and using the sauna, but we have enough after work activities for almost all days of the week – all of which are of course completely voluntary. All the activities are really easy to get into – we’re a warm and accepting bunch, and instead of taking sports or games too seriously, we just want to have fun with our co-workers. On top of the regular activities, we also like to organize different special events from time to time, such as outdoor trips, museum visits, and for example laser tag has been very popular! We also organize about 3-4 Frozenbyte parties for employees and friends each year. NOTE: All after work activities are completely voluntary. If you don’t want to attend any of them, you are by no means required to. There are less than ten developers in Finland who focus on the best high-end games. We are one of them. As an independent developer, we retain all the control over our titles and decide when they are ready. We strongly believe in the “games over money” principle – money is needed to make games, but it’s not why we work here. We’re passionate about what we do, and want only people who are passionate about that too. The current games industry has its share of problems with game ethics, but we always aim to be fair. We support our games long after their releases with our in-house support staff, and have been known to provide free updates (sometimes really big ones, like the Trine Enchanted Edition or Trine Level Editors) even long after the games have been released. We don’t believe in “free-to-play” games that ask for payments every five minutes or overpriced DLCs. For us it’s important that our games give the player a great experience, even long after completing them. Nothing is better than receiving fan letters from satisfied gamers. Want to be a part of making the best, most stunning games out there? 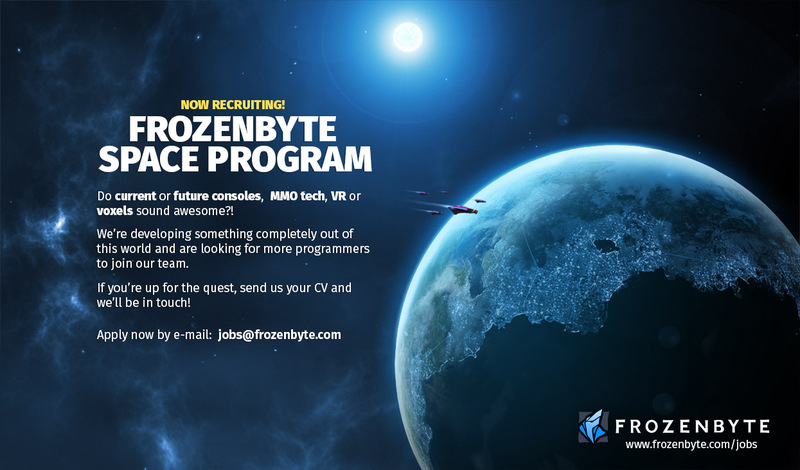 At Frozenbyte you’ll get the chance to work with both existing and new Frozenbyte IPS. Read these instructions, general requirements, and the specific requirements for the position your applying for. Please also view the section ”Frozenbyte as an employer” at the beginning. Applicants who follow these instructions have higher chances of being chosen for interviews and thus getting hired. Game development must be your number one dream job, and in the best case, has always been. Experience from anything related to the games industry. The best experience to have is developing games, mods, or just training your profession (including your own hobby projects). Solely playing games is not enough. We also consider people without previous experience to trainee positions, if they’ve written exceptionally good applications and show potential. Tip: We might see potential in the small details; We have hired trainees who have worked on their own project, or have just done some nice art, or have studied programming and finished a few small games. Working on mods, or just creating your own maps also count! Don’t forget to showcase your talents in your application – provide links to videos of your mods, include work samples of your code or art, etc. Fair spoken and written English skills. Currently our written work language is English, but we also use Finnish on daily basis (especially as a spoken work language). Fair spoken and written Finnish is not a requirement, but it is an advantage. We hope all applicants mention their language skills in their applications. Willingness to commit – we’re looking for passionate people, who want a long-term position in the games industry. We rarely hire people for short, fixed-term positions. We do take interns, but even then we hope the applicant is willing and able to stay and work with us full-time after their internship period has ended (meaning we encourage applicants still in the middle of their studies to only apply at the end of their studies or after they’ve graduated). Work place is in Helsinki, Finland. We don’t offer remote work possibilities, so we expect all our applicants are willing and able to relocate closer to our office if need be. Respect for co-workers and the ability to maintain a calm, feel-good work environment. Silent people are welcome, but very loud persons have to be able to adjust their volume and output. Most people do not need any special skills to be able to fit in. We often send a task assignment for promising applicants, even if they already have an excellent portfolio – so please be prepared for this. Write your cover letter and/or application into the email, or if you must, to a separate document. Write the application to us (the best way is to actually type a personal application, not just replace the company name). If you want to write an exceptionally good application tell us why you want to work with us. Include an attached CV with all relevant and correct information. Include your real name and age and language skills. All work experience is relevant, even training and summer jobs. Elementary school is not relevant, unless you haven’t finished it. Hobby game projects are very relevant (and should be written out well in the actual application). Include a clear link to work examples in the email body (not in a footer or a link inside documents) so we won’t miss it. If your work is a game, or is inside a game, or anything which can be made into a video, linking a YouTube video demonstrating the game (and your work) is the best way to make sure we will review your work. Make sure the video rights allow us to watch it. If your work has achieved something (there’s news articles, reviews, or even a Metacritic score), link that as well. Preferably use PDF, or .doc/.docx formats. Play our games and maybe even mention that in your application. If that is too much to ask, watch a trailer at least. You don’t need to impress us with your knowledge – it’s just to understand our background. If you know someone from our company, mention that in your email. Chances are they have something positive to say about you and it will greatly improve your possibilities of getting hired. If you are unsure about applying, please apply and let us decide. You can write your application in either Finnish or English. Note that answers might take up to two months, especially if you are applying for a job which requires input from many people within our company. An application which looks like it’s written for any creative job. We want game developers, not TV/movie/music business/ad agency/whatever else -people. Applying to us with strict answering deadlines. Asking why we haven’t answered, after two days. Asking whether it’s possible to apply (without any further information). Forgetting to include an actual Cover Letter/introduction. Your CV and work samples are important, but we also want to know about you as a person, why you want to work here and why you think you’d fit in. Forgetting to include work samples or your CV – how are we supposed to know you’re a great artist, for example, if we can’t see your work? Sending a letter, especially a registered letter. All applications should be sent by email. Visiting our office. Please, don’t visit our office (especially unannounced) unless we are hosting a recruiting event or some other similar event which you have been invited to. Calling us. Unless we have specifically given you a number to call, please send us an email if you have any questions. The positions listed below give general information about the different professions at Frozenbyte. Check Open Positions at the top of this page to see which positions we are currently recruiting for. Naturally you can always apply to any position, even if we’re not specifically looking for people for that role at the moment – we’re always keeping our eyes open for good applications! We are one of the largest and most successful games industry “trainers” in Finland. Currently we have almost 100 employees and over the years almost 200 people have started their industry career at Frozenbyte. For 95% of our current employees Frozenbyte is their first game development job, and we still hire a lot of people who haven’t worked in the games industry (or anywhere) before. We believe new people are our strength, as we can teach them from the very basics to the very high-end of their profession. Our unique views on some work culture aspects are also easier to teach to fresh people. If an applicant wants to proceed to art, code or design, they have to demonstrate adequate skills and learning capabilities before being hired as a trainee. We create personal plans with every trainee with regards to how they will learn sufficient skills to move forward. We pay everyone based on their game development skills. This means that we don’t value any degrees or non-game-related experience more than what it adds to your skills. Usually only real work experience (including hobby work) is something that increases your skills. Our normal trainee starting pay is 6-9 months little/unpaid training period, usually administrated as part of some school degree or pay covered (partially) by the Finnish employment agency. If you apply for a training job you should investigate your financial possibilities beforehand. All of our trainees are required to be able to continue full-time work after their training period is completed, and we only hire people on the intent that they will become our employees, preferably for a very long time. We hire well over 80% of our trainees, and even the rest have been employed well within the games industry. One could say that getting picked up by us is a very good way to get into the games industry. Trainees are usually assigned the work that we feel is most beneficial for the company. Usually at first this includes learning to use our tools, and slowly proceeding from there towards the desired position within our company. Without previous industry experience, progressing further inside our company usually requires self-training on your own time, so please be prepared for that as well. When applying, mention the desired job you aim for after your trainee period – and include relevant work samples for positions requiring those. We also highly recommend reading the relevant sections of this page before applying for a trainee position. For example, if you apply for a design trainee position, read through the design section and include a completed design assignment in your trainee application. Successful trainee applicants have demonstrated the general requirements well. However, each and every hire has come from a different background, so if you have the best attitude for the job and for the games industry, please send us your application! We process work practice program (TET) applications on case-by-cases basis. Follow the guidelines on this page when writing your application and sent it to [email protected]. Please read through the “How to apply” section before applying. TET-harjoittelumahdollisuudet katsomme tilanteen mukaan. Tee hakemuksesi tämän sivun muiden ohjeiden mukaisesti ja lähetä hakemuksesi osoitteeseen [email protected]. Luethan “How to apply” osion läpi ennen hakemuksen lähettämistä. We currently don’t have any open animation positions. You can send an open application to [email protected]. Remember to include a cover letter, CV and a portfolio that you can say you’re proud of. Please read through the “How to apply” section before applying. Animators are responsible for breathing life into our game characters. They help the writers tell their story, and work with other artists to create a living, breathing environment. But us being a game company, animators’ main responsibility is creating tangible, responsive and good looking gameplay together with designers and gameplay programmers. Animators should demonstrate their skills with samples of their best animations. All applicants should present understanding of the principles of animation, strong keyframing skills and an ability to animate a human character. Occasionally animation work may also include rigging, animating simple objects such as levers and foliage, motion capture acting and cleaning up mocap data – but mostly we are looking for great animating skills, so focus on that in your portfolio. We like both realistic and stylized animation. Regardless of style we want to see personality, sense of weight, great posing and timing. If you have some 2d animation or rigging samples, please show us – we’re interested. When showing work you’ve done with other people, identify clearly what you did for each shot. If you include motion capture work, let us know which animations use it. If you want to animate your own characters, great, but don’t let it eat into your animations. Creating a new character and preparing it for animation takes a lot of time, and you’ll probably be better off downloading a character and using that time to animate it. Also, unless you’re an experienced rigger, you’ll quickly run into the limitations of your rigs. If you don’t already have a good rig, there are some links below – including a link to a fully rigged Trine 3 character. We use Autodesk Softimage for animation here, so it’s a plus if you’re familiar with it. If not, don’t worry – if you’re a good enough animator, we’re willing to teach you the software. You’ll find a fully rigged character from Trine 3: The Artifacts of Power through this link, complete with instructions how to use it. Feel free to use it to practice animating and getting to know our animation system. Send your applications to [email protected]. Remember to include a cover letter, CV and a portfolio that you can say you’re proud of. Please read through the “How to apply” section before applying. We also recommend reading the section below for general tips on what to keep in mind when applying for an art position. 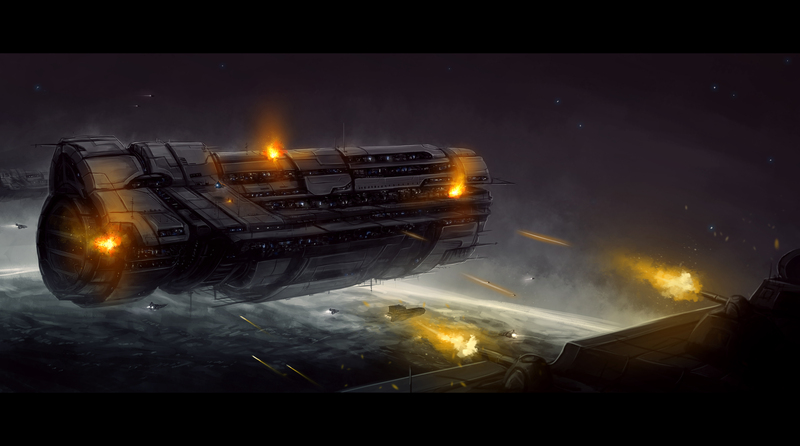 The artists at Frozenbyte are responsible for creating stunning, world-class art for our games. With the help of our highly professional and talented art team, you would create anything from small props to epic game environments. We are very ambitious about making our games look fresh and unique, so as an artist we are expecting you to be truly passionate and motivated about creating the best looking games on the planet. There is a wide range of different artist positions and possibilities at Frozenbyte. For example there are level artists, who create the game worlds and environments and design the lighting and colors of the levels, 3D artists who make environment assets, creatures or characters from the original concept and design to the finished 3D asset, texture artists who create the textures for the 3D assets, visual FX artists who create effects, UI artists who design the UI and usability, technical artists who takes care that the technical side of the real time art is up to date, marketing artists who design websites, marketing banners and other marketing materials, and so on. Please read more about the different artist positions below. The most important thing in artist recruitment is the applicant’s potential which can be proven by their portfolio and previous work. New tools, programs and workflows can always be learnt but you got to have the artistic eye and understanding of what looks appealing. Passion and motivation usually comes with the package as the person who shows great potential must have been working hard and patiently to get to the level they are. Working environment of passionate people will boost everybody’s motivation to become even better at what they do! To demonstrate your skills and talent, let your work speak for itself. Before sending us your portfolio, please make sure it only shows some highlights of your finished works (professional or hobby) and that they are relevant to the position you are interested in. In this case we think less is more; one masterpiece is worth more than a thousand unfinished artworks. We expect that your portfolio demonstrates you have an exceptional eye for detail, silhouette, composition, color and lighting. We think it is a huge plus if your portfolio shows you are able to work with different genres and styles or that you have an original style of your own. We would appreciate that you are able to concept your own ideas either traditionally or digitally to demonstrate your ideas to everybody. Previous experience in the games industry is not mandatory but if you have worked with any projects related to games, please include them in your portfolio. We use ZBrush and 3D-Coat for high poly modeling, Modo for basemesh/lowpoly modeling, xNormal for baking, Substance Painter/Designer, Photoshop for texturing/concepts and our in-house editor for creating the final level composition. If you lack the expertise on these specific software programs, don’t let it discourage you though; experience has taught us that if you are good at what you are doing, you can easily adapt to any new software before you know it. You can find more information on how we create 3D assets here: 3D Asset Workflow. Some of the materials and guides have been written by us, while some are links to external sources we’ve found to be useful. The wiki page is a transformed version of our internal guidelines with some of the most top-secret bits edited out. Portfolio is the most important thing for artist applicants, so remember to make it the best you can! Tailor your portfolio material for us – show us you know who we are and what kind of games we’ve made in the past, and that you have the ability to create material that you think would fit into our games. 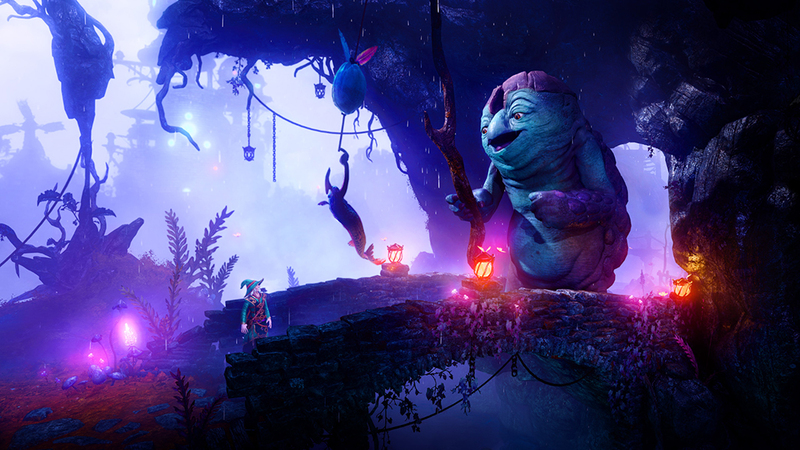 We’re best known for our Trine series, so including material that you think would fit into the world of Trine is a great way to impress us. Show us your eye for colors and lighting – we require our artist applicants to have an exceptional talent for both colors and lighting, so to make sure your portfolio really pops out, include work samples that will impress us of your skills in this area. Include texturing samples – our 3D artists create all assets from scratch, meaning they also concept and texture the assets themselves. This means that portfolios that have great texturing samples have a greater chance to impress us. Include varied materials – while we want to see you have an understanding of human anatomy, we also want to see you’re capable of creating “mundane” high-quality assets, as those are the majority of what you would be working on as an asset artist. So don’t fill your portfolio with only characters, but also include environment assets. Sometimes less is more – we only want to see the work you’re most proud of, so please only include your very best. Don’t include unfinished materials – we want to see you’re able to finish what you started. Let your portfolio speak of your preferences (maybe even mention those in your application – if you love making fantasy-like assets more than anything, create Trine-like assets in your portfolio. If sci-fi is more your thing, then we’d love to see sci-fi assets. If you love both genres equally, let your portfolio reflect that. We try to let our employees choose the projects they want to work on, and knowing their preferences helps us achieve this. Make sure viewing your portfolio is easy and effortless – include a clear link to your portfolio in your application email (not just somewhere in the attachments, where it might be missed), so that it can be opened with a single click. Make sure your portfolio is professional – Generally trustworthy sites are usually better than sites cluttered with suspicious adds. ArtStation is a great website for your portfolio – it’s fast and easy to navigate, so we highly recommend it for your professional portfolio! We have three in-house audio employees and we for example record many of our sound effects ourselves. For some games we purchase the musical score from outside, but for some the music and all other audio work besides voice-overs are created in-house. Currently we don’t have any open audio positions, but we are always open for applications for future expansions and/or work-for-hire work. Send your applications to [email protected] – remember to include a cover letter, CV and a portfolio that you can say you’re proud of. Please read through the “How to apply” section before applying. Our Catering & Cleaning team plays an important part in creating Frozenbyte a great workplace! They’re there to welcome us to the office in the morning, with fresh porridge and other breakfast supplies, and they prepare us tasty lunches daily. They’re also responsible for the general cleanliness of the office. Frozenbyte on suomalainen, nuorekas korkealaatuisia tietokone- ja videopelejä valmistava yritys Helsingissä. Olemme toimineet vuodesta 2001 ja työllistämme tällä hetkellä yli 100 henkilöä. Etsimme joukkoomme yhdistelmätyöntekijää, jonka työ painottuu vahvasti toimistomme siivouksesta huolehtimiseen. Lisäksi työ sisältää muita sekalaisia toimiston ylläpitoon liittyviä tehtäviä sekä tarvittaessa keittiössä avustamista. Meillä työ ei lopu kesken ja tekemistä löytyy riittävästi kokoaikaiselle työntekijälle, mutta voimme harkita tehtävään myös kahta osa-aikaista työntekijää. Otamme siis haussa huomioon sekä kokopäiväistä että osa-aikaista työtä etsivät hakijat. Etsimme henkilöä, joka haluaa aidosti olla osa mahtavaa työyhteisöämme ja on innokas olemaan osana loistavan työympäristön ylläpitoa ja kehitystä. Etsimämme henkilö on oma-aloitteinen vastuunkantaja, joka ymmärtää siivoustyön tärkeyden ja jolle hyvin tehty työ ja siisti toimisto on ylpeydenaihe. Työsuhde on aluksi määräaikainen vuodeksi. Unelmahakijallamme on kuitenkin intoa ja energiaa jatkaa meillä tämän jälkeenkin, sillä kykynsä ja ammattitaitonsa näyttäneelle, oma-aloitteiselle ja vastuuntuntoiselle henkilölle toivomme voivamme tarjota tämän jälkeenkin pitkäkestoisen työpaikan. Toimiston ylläpitosiivouksesta huolehtimista, aina imuroinnista ja pölyjen pyyhkimisestä lattioiden ja wc-tilojen pesuun sekä roskahuoltoon, sisältäen myös muita työtilojen siisteyden ylläpitoon liittyviä tehtäviä. Toimistolle saapuvien tavaralähetysten purkamista, sekä muita toimiston yleisten asioiden hoitamista, esim. pyykki-, tiski- ja roskahuoltoa. Tarvittaessa keittiötiimimme avustamista, esimerkiksi astiahuollossa, salaattien valmistamisessa tai valmiiden ruoka-annosten uunissa lämmittämisessä ja ruokatarjoilujen pois keräämisessä. Keittiössä ja ruoanlaittamisessa tuurausta esimerkiksi keittiöhenkilökunnan lomien aikana. Satunnaisesti voileipä- ja kahvitarjoilujen järjestämistä kokouksiin. Mahdollisia muita toimiston asioiden hoitamiseen liittyviä työtehtäviä, mikäli näihin riittää aikaa ja energiaa. Työtä on tarjolla kokopäiväisesti. Haussa huomioidaan sekä kokopäiväistä että osa-aikaista työtä hakevat: tehtävään palkataan joko yksi kokoaikainen tai kaksi osa-aikaista työntekijää. Työ jakaantuu aamu- ja iltavuoroihin. Työvuoroissa pyritään huomioimaan ja toteuttamaan työntekijän omat toiveet, silloin kun mahdollista. Hakijan tulee pystyä työskentelemään molemmissa vuoroissa, mutta vuorojen tarkemmasta jakautumisesta voidaan sopia. Kokoaikainen työntekijä voi tehdä viikon aikana osan päivistä aamuvuoroa ja osan iltaa, tai vaihtaa työvuoroa esimerkiksi vuoroviikoin. Osapäiväisten kanssa työajat voidaan pyrkiä sopimaan joko aamu- tai iltapainotteisesti, tai vaihtoehtoisesti työntekijät vuorottelevat aamu- ja iltavuoroissa. Aamuvuorot alkavat viimeistään klo 06:00 aamulla. Aamuvuoroissa työ painottuu toimiston siivoamiseen ja välipalakeittiön hoitamiseen (tarvikkeiden täydentäminen, kahvin keittäminen) sekä tarvittaessa keittiössä avustamiseen ja tuuraamiseen. Iltavuorot painottuvat iltapäiviin. Iltavuoroissa työ painottuu siivouksen ja välipalakeittiön ohella astia- ja pyykkihuoltoon. Aloituspalkka on 1600-1800 euroa hakijan osaamisen ja kokemuksen mukaan. Palkkausta voidaan tarkistaa työsuhteen aikana osaamisen ja työtehtävien kehittyessä. Erinomaisen ja nuorekkaan työilmapiirin ja mukavat työkaverit! Mahdollisuuden vaikuttaa omaan työnkuvaansa, mikäli siivoustöiltä ehtii, pystyy ja haluaa. Esimerkiksi ruoanlaiton parista voi olla mahdollisuus ottaa isompaakin vastuuta. Lisäksi silloin tällöin tarjolla on satunnaisia työtehtäviä, esimerkiksi pakettiauton kuskina toimimista. Pitkäkestoisen työpaikan, jossa vapaat viikonloput. Erittäin kattavan ruokaedun, joka sisältää aamiaisen, lounaan ja välipalat työpaikalla. Mahdollisuuden käyttää toimiston saunaosastoa, edustustiloja ja pakettiautoa. Hyvät henkilökuntaedut sekä esimerkiksi karkkikärryn antimet perjantaisin. Hyvää kirjallista ja suullista suomenkielentaitoa. Suomea ei tarvitse puhua äidinkielenään tai erinomaisella tasolla, mutta kielitaidon tulee riittää työhön liittyvään kommunikointiin. Positiivista, oma-aloitteista ja iloista asennetta – hakemamme henkilö tarttuu vessaharjaankin erikseen pyytämättä, reippaasti ja hymy huulillaan. Riittävää fyysistä kuntoa – työssä olet jatkuvasti jaloillasi, ja imurinvarressa roikkuessa sekä asioita nostellessa tulee kyllä hiki. Kiinnostusta myös keittiötyöhön. Pääsääntöinen työnkuva on siivousta, mutta välillä saatat joutua itsekin uunin ääreen, joten hakijoilta toivotaan kykyä erottaa kattilat ja paistinpannut toisistaan ja suurpiirteistä käsitystä siitä mihin niitä yleensä käytetään. Itse työhön opetamme kyllä, eli valmista kokemusta keittiötyöstä ei tarvitse kuitenkaan olla. Halukkuutta sitoutua hyvään työpaikkaan mieluusti pitkäksi aikaa. Ajokorttia ja halukkuutta hypätä auton rattiin tarvittaessa. Joustavuutta työajoissa erityistapausten aikana (esim. lomat, poissaolot, erityistilaisuudet). Lähetä suomeksi kirjoitettu hakemuksesi sähköpostitse osoitteeseen [email protected] Laita viestisi otsikoksi “Siivooja”. Sisällytä sähköpostiisi sekä vapaamuotoinen hakemuskirje että ansioluettelo. Kerrothan itsestäsi ja siitä miksi haet töihin juuri meille ja miksi uskot olevasi juuri oikea henkilö tähän työhön. Tässä haussa arvostamme persoonallista hakemuskirjettä enemmän kuin pelkkää ansioluetteloa, vaikka haluammekin nähdä myös CV:n.
Muista kertoa hakemuksessasi etsitkö kokoaikaista vai osa-aikaista työtä. Kerro myös toiveistasi ja rajoitteistasi liittyen työtunteihin ja työaikoihin. Mahdolliset lisäkysymykset voit myös lähettää sähköpostitse osoitteeseen [email protected]. Valitettavasti emme pysty vastaamaan puhelintiedusteluihin. Lähetäthän meille hakemuksesi mahdollisimman pian, sillä paikka täytetään heti sopivan henkilön löydyttyä! Meillä persoona ja asenne ratkaisevat! Otathan yhteyttä, jos tunnet kuuluvasi joukkoomme. Send your applications to [email protected]. Remember to include a cover letter, CV and a portfolio that you can say you’re proud of. Please read through the “How to apply” section before applying. Our design team is responsible for our game and level design as well as deciding which features will make it into the final game. In cases where we need to cut features it’s the design team who makes the decision, not producers. Game design. The overall design of the game, its core features and mechanics, etc. Level design. How the levels work gameplay-wise. Usually a level designer works with the toolset given by game design, although in many cases the same people design both the game and the levels. Level designers usually do not work on visuals, that’s done by level artists. Writing. Story and dialogue of the game. UI design. User interface, controls, menus. Usability testing. Usability testing & analysis for players and casual players. Most of our designers are specialized in one of these categories, although for example game design is done pretty much by everyone, and level design is done by most of the team. Passion for usability? Experience in UI/UX design? Interest in video games? If you just went “check, check and check!” we might have the perfect position for you! We are looking for a UI/UX designer to join our team! Our ideal candidate enjoys multiple sides of UI/UX design and is motivated to craft and improve the design of our games and editor, as well as other internal systems and tools. Your responsibilities will include menu/navigation design, HUD design, assessing mechanics, usability evaluations and improving tools and processes. We hope you have great communication and organizational skills, because the position will require you to work with multiple teams and navigate different projects. The position will be a fixed-term substitute position, but we hope we can possibly discuss long-term plans with a motivated and talented applicant at the end of the fixed-term contract. We also hope that you have the motivation and interest to take on more responsibilities in the future if continuing the contract is possible. Please note that applying for this position requires you to complete a test assignment. You can find the assignment below! Send your application and the completed assignment to [email protected] – remember to include a cover letter, CV and a portfolio that you can say you’re proud of! UI designer’s job is to create menus and other UI that allow the user to know the state of the game and achieve their goals without getting in the way of the experience. UX designer, on the other hand, is concerned with the overall experience with the game – including, but not limited to, clarity of ingame events and progression, controls, overall difficulty of a level/game, consistency of the experience and theme, and many more. 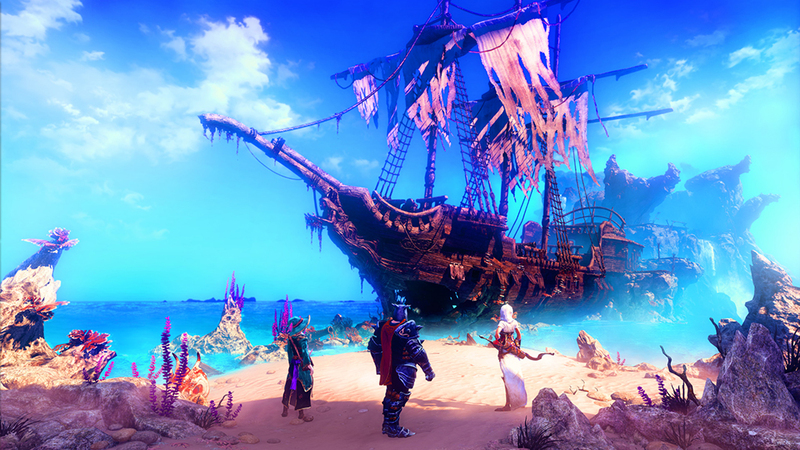 To demonstrate your abilities on both fields, please conduct an expert analysis on the Trine 2 demo. Analyze the UI, controls and level gameplay usability in the demo. Do the menus or UI elements have clear usability failures? Do the levels have clear usability issues? List both kinds of issues (and any other related notes) and possible solutions to them. In addition, you can do a focus user test for some other person with the demo. Tell us which version you used, and how long you spent doing the assignment. The assignment can be done either in Finnish or English. The assignment will measure your ability to identify significant usability issues, your ability to come up with suitable fixes to said issues, as well as your ability to communicate both to another person. Therefore special care should be seen in explaining how/where an issue manifests, whether it be through text, images, or something else. A thorough description of the proposed solution is also important. Bad solutions, which exacerbate the original problem, or create new ones, as well as non-explanatory solutions (e.g. “make better level”) should be avoided. Successful applicants have written quite lengthy assignments. However, page count is not what’s important, but rather the actual content. We will consider all financial and/or legal positions independently. What we value the most is the desire to be in the games industry, but if you value a great team, a relaxed working environment, challenges of a global industry and want to make your own job better, please send us your application. Currently we don’t have any open Financial/Legal positions. We value our employees over everything, and the main duty of Frozenbyte HR is to both maintain and constantly improve our work environment, and to ensure Frozenbyte is and remains the best possible workplace. HR work at Frozenbyte is very people-centric. We don’t draw tight lines between HR, Management and the development team, but instead everyone works closely together. HR plays a key role in ensuring a great workplace atmosphere, and often schedules meetings with other employees just to hear what’s up, and is always available to help people with questions, worries or if they just need to vent. Frozenbyte HR tries to support people the best they can, so HR is also always available to hear about personal, non-work related issues as well, for those who need someone to talk to. We believe everyone should have dreams and work towards achieving them – and our HR is there to help with them, and create personal plans with employees about how to achieve them. HR work isn’t always pleasant though, for example in cases where there are internal conflicts, HR also helps to resolve them if and when needed. Frozenbyte HR also plays a role in internal communications and ensuring information is available to everyone, and as such HR is expected to stay up to date with what’s happening around the office. Often this means you can see HR wandering around the corridors, letting people know the latest development news or changes, or just hearing different department’s latest thoughts. HR employees are expected to have extremely strong people skills, a social personality and the ability to easily get along with all kinds of people. They also need to be able to handle stress, as often they’re the ones who everyone around the office comes with any kind of problems, both work-related or otherwise. Naturally they also need to be able to be professional and trustworthy, so that everyone can feel safe knowing they won’t blabber anyone’s private information to others. We’re used to doing things “our way”, so we encourage and appreciate out-of-the-box thinking and innovative ideas in creating new HR processes. Haluaisitko hypätä mukaan kasvavaan ja kehittyvään HR-tiimiin? Kiinnostaako sinua myös tutustua pelialan tarjoamiin mahdollisuuksiin ja haasteisiin? Entä miltä kuulostaa joustava töihintuloaika, lounasetu ja karkkipäivä? Jos kiinnostuksesi heräsi, niin meillä voi olla sopiva paikka sinulle! Frozenbyte on yksi suurimmista tietokone- ja videopelejä tekevistä yrityksistä Suomessa. Yrityksemme on perustettu vuonna 2001 ja työllistämme tällä hetkellä yli 120 työntekijää. Frozenbytella työhyvinvointi ja laadukkaiden pelien tekeminen ovat prioriteettilistan kärjessä ja tämä näkyy myös henkilöstöhallinnon arjessa. Kunnianhimomme ei lopu peleihin, vaan haluamme myös kehittää HR-työtä jatkuvasti. HR-tiimimme tärkeimpiin työtehtäviin kuuluu esimiesten toiminnan tukeminen ja koko henkilöstön hyvinvoinnista huolehtiminen muun muassa keskustelujen ja koulutuksen avulla. Haemme nyt lisävahvistukseksi henkilöstöhallinnon assistenttia! Työsuhde on määräaikainen noin vuodeksi, mutta osaavalle ja motivoituneelle työntekijälle toivoisimme voivamme tarjota jatkoa myös tämän jälkeen. Työhön voidaan harkita myös harjoittelu- tai oppisopimuspaikkaa hakevia. Työtehtäviin kuuluu paperien ja Excel-taulukoiden organisoimista, mutta työ ei kuitenkaan ole pelkkää numeroidenpyörittelyä ja mittareiden tuijottelua vaan työssä pääsee olemaan osa HR-prosessien luomista ja kehittämistä alusta alkaen. Työtehtävät ja palkkaus ovat assistenttitason tehtäviin sopivia ja työ soveltuu myös esimerkiksi vastavalmistuneelle tai opintojensa loppupäässä olevalle opiskelijalle. Osaavalle ja motivoituneelle henkilölle voimme tulevaisuudessa antaa myös isompia vastuita ja tehtäviä. Haluammekin tarjota heti alusta asti valitulle henkilölle mahdollisuuksia ja tehtäviä, joista voi myöhemmin ottaa enemmänkin vastuuta. Työtehtäviin kuuluu muun muassa keskusteluihin osallistuminen, yrityksen sisäisessä kommunikoinnissa ja tiedottamisessa avustaminen sekä henkilöstöpalautteiden käsittely. Tulevaisuudessa on mahdollista ottaa suurempiakin vastuita ja hoitaa erilaisia osa-alueita itsenäisesti. Alapuolelta löydät tarkemman listan mahdollisista työtehtävistä. Työ ei ole ponnahduslauta pelituotannon puolelle, mutta pelialasta tässä työnkuvassa tulee varmasti oppimaan. Työ ei vaadi pelialan täydellistä ymmärrystä, vaikka pelialasta tietäminen auttaakin paljon varsinaisessa työssä. Kerrothan hakemuksessasi kattavasti itsestäsi ja siitä miksi haluat työskennellä juuri meillä, ja miksi uskot olevasi oikea ihminen tähän työhön. Mikäli sinulla on kokemusta, josta koet olevan hyötyä työssä, arvostamme jos saat asiaa avattua jo hakemuskirjeessä, jotta saamme parhaan mahdollisen kuvan sekä osaamisestasi että sinusta ihmisenä – meille aito ja persoonallinen hakemuskirje on arvokkaampi kuin pelkkä CV. Hakemukset ansioluetteloineen ja palkkatoiveineen osoitteeseen: [email protected] Otsikoi hakemus ”HR-assistentti”. Kerro hakemuksessasi myös mikäli etsit harjoittelu- tai oppisopimuspaikkaa ja mitä kautta löysit ilmoituksen. Tulemme vastaamaan kaikille hakijoille, mutta otathan huomioon, ettemme välttämättä voi vastata lisäkysymyksiin. Saatko positiivisia sydämentykytyksiä Excel-taulukoista? Onko palkanlaskenta kaikkine koukeroineen tuttua? Kiinnostaako sinua hypätä mukaan palkka- ja henkilöstöhallinnon monipuoliseen maailmaan? Etsimme lisävahvistukseksi palkanlaskijaa, jolla pysyvät numerot hallussa, mutta joka on myös kiinnostunut henkilöstöhallinnon avustavista tehtävistä. Työsuhde on määräaikainen noin vuodeksi, mutta osaavalle ja motivoituneelle työntekijälle toivoisimme voivamme tarjota jatkoa myös tämän jälkeen. Olemme yksi suurimmista tietokone- ja videopelejä tekevistä yrityksistä Suomessa. Yrityksemme on perustettu vuonna 2001 ja työllistämme tällä hetkellä yli 120 työntekijää. Frozenbytella työhyvinvointi ja laadukkaiden pelien tekeminen ovat prioriteettilistan kärjessä ja tämä näkyy myös talous- ja henkilöstöhallinnon arjessa. Kunnianhimomme ei lopu peleihin, vaan haluamme kehittää myös työn muita osa-alueita jatkuvasti. Taloushallinnon tiimimme pitää huolen, että kaikki eurot ja dollarit ovat järjestyksessä. He myös neuvovat työntekijöitä verokortteihin ja palkanmaksuun liittyvissä asioissa, lisäksi taloushallinto on aktiivisesti mukana erilaisissa hallinnon projekteissa. HR-tiimimme tärkeimpiin työtehtäviin taas kuuluu esimiesten toiminnan tukeminen ja koko henkilöstön hyvinvoinnista huolehtiminen muun muassa keskustelujen ja koulutuksen avulla. Etsimämme henkilö on kuin kotonaan numeroiden ja paperitöiden parissa, mutta on myös valmis tutustumaan henkilöstöhallinnon eri osa-alueisiin. Työtehtäviin kuuluvat palkanlaskennan monipuoliset tehtävät ja henkilöstöhallinnon avustavat tehtävät, sisältäen muun muassa Excel-taulukoiden, budjettien, tilastojen ja työsopimusten pyörittämisen. Hakijoilta odotamme sujuvaa Excelin ja Wordin käyttöä, sekä osaamista palkkahallinnosta ja palkanlaskennasta joko koulutuksen tai työkokemuksen kautta. Työ ei kuitenkaan ole pelkkää numeroidenpyörittelyä ja mittareiden tuijottelua, vaan työtehtäviin kuuluu myös prosessien ja järjestelmien kehittäminen. Pyrimme jatkuvasti viemään yritystämme eteenpäin ja ”laatikon ulkopuolelta” -ajattelu on tervetullutta. Työ on erinomainen tilaisuus hankkia kokemusta ja oppia, joten työ soveltuu myös esimerkiksi vastavalmistuneelle tai opintojensa loppupäässä olevalle opiskelijalle, jolla on jo käytännön kokemusta palkanlaskennasta esimerkiksi harjoittelun tai työn kautta. Toivomme kuitenkin, että olet motivoitunut ottamaan myös isompia vastuita ja tehtäviä vastaan. Työhön tarjotaan perehdytys ja henkilöstö- ja taloushallinto ovat auttamassa alkuun, mutta työssä pärjääminen vaatii paljon oma-aloitteisuutta ja itsenäistä työotetta. Ethän pelkää lakikirjoihin tai puhelimeen tarttumista, jos vastauksien etsiminen vaatii tarkempaa salapoliisityötä. Frozenbytella henkilöstö- ja taloushallinto ovat paikalla erityisesti muita työntekijöitä varten, joten toivomme hakijoilta joustavaa asennetta. Palkanlaskennassa on tiukat aikataulut, joten hyvä paineensietokyky ja huolellisuus ovat työssä välttämättömiä. Hyvät kommunikointitaidot ovat myös tärkeitä, sillä työ vaatii kommunikointia sekä yrityksen sisällä henkilöstön ja eri osastojen välillä, että ulkoisesti esimerkiksi verohallinnon kanssa. Työ ei ole ponnahduslauta pelituotannon puolelle, mutta pelialasta tässä työnkuvassa tulee varmasti oppimaan. Työ ei vaadi pelialan täydellistä ymmärrystä, vaikka pelialasta tietäminen auttaa paljon varsinaisessa työssä. Kerrothan hakemuksessasi kattavasti itsestäsi ja siitä, miksi haluat työskennellä juuri meillä, ja miksi uskot olevasi oikea ihminen tähän työhön. Kerrothan hakemuksessasi muun muassa millaisia palkanlaskennan ja henkilöstöhallinnon ohjelmia olet käyttänyt, mitä palkka- ja henkilöstöhallinnon tehtäviä aiempiin työnkuviisi on kuulunut ja millaisia palkkoja olet laskenut (kuukausipalkat/tuntipalkat, kansainväliset tilanteet, ym.). Meille kattava hakemuskirje on arvokkaampi kuin pelkkä CV! Hakemukset ansioluetteloineen ja palkkatoiveineen osoitteeseen: [email protected]. Otsikoi hakemus ”Palkanlaskija”. Tutustuthan hakuohjeisiimme (How to apply) ja tietosuojaselosteeseemme ennen hakemista. Tulemme vastaamaan kaikille hakijoille, mutta otathan huomioon, ettemme välttämättä voi vastata lisäkysymyksiin. We do not hire top management from outside the company, and our dictator quota is already full. We currently don’t have any open marketing positions, but you can always send an open application to [email protected]. Remember to include a cover letter, CV and a portfolio that you can say you’re proud of. Please read through the “How to apply” section before applying. 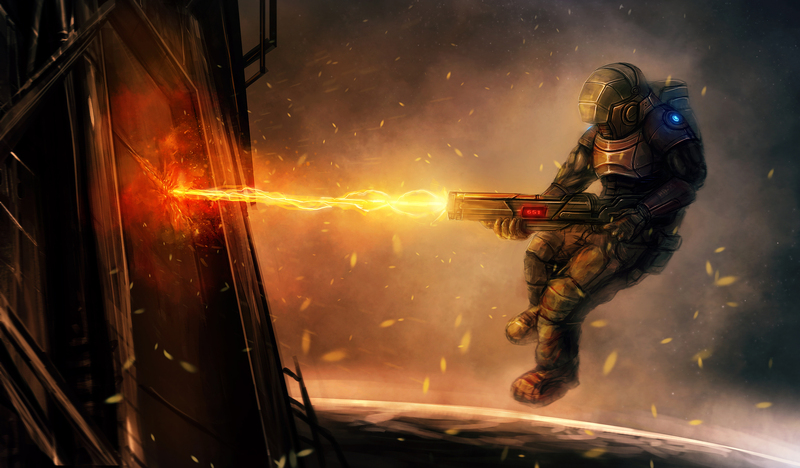 Our marketing team is responsible for promoting our games and us as a company. We also create most of the media materials such as trailers and promotional graphics of our games as well as maintain our company websites and social media accounts. Responsibilities in the marketing team tend to fall into two main categories: marketing skills such as public relations and business development, and technical skills such video editing, graphics design and web development. While team members generally specialize in one area, overlap can and often does occur depending on what a given project requires. If you wish to focus on marketing then a good general knowledge of the games industry and excellent English language skills are required. If you wish to focus on one or more technical skills please be sure to include examples that best showcase your skillset. Due to the global nature of the games industry, our timetables and schedules can be unpredictable and often require us to respond on short notice. Therefore your application should demonstrate that you can work well in a team and have experience with tight and/or changing deadlines. We appreciate enthusiasm towards games and game development above everything else, and look for people who are excited to represent our company and our games. Our IT department makes sure things keep running, and that everything works and is up-to-date. They’re ready to provide assistance with any IT related problems. They’re also responsible for our servers and web development. We currently don’t have any open IT positions. Currently we don’t have any open producer positions, but you can always send an open application to [email protected]. Remember to include a cover letter, CV and a portfolio that you can say you’re proud of. Please read through the “How to apply” section before applying. Our producers are usually appointed from inside the company, typically from previous lead position. However, junior producer positions are considered for experienced applicants. Producers in our company are responsible for information flow within project teams, between teams and within the company. Producers also maintain schedules, project plans and handle external communication. Frozenbyte producers generally are not responsible for marketing or representation (other than communication with partners concerning development issues). Producers are also not the ”owners” of the game, i.e. they might not be the person with the last call, but they do need to maintain schedules and inform the person(s) doing the last call about where the project is heading. In bigger projects the development team leads (art, code, design) themselves handle their teams’ decisions on how to trim their workload, and for example if the game needs to lose some of its features it’s the designers who do that decision based on information received from producers and other teams. Our producers should be viewed as servants for the development team, being the oil that greases the cogs. Our producers make sure that teams have what they need, especially the information they need, in order to make the great games. However, our producers rarely make the most important decisions alone, they do that with the team. Producer positions require a good understanding of all aspects of game development and experience from completed game projects. Many of our programmers can be called generalist programmers. We do also have programmers who focus only on one area, but usually a senior programmer has more than one responsibility area. We use our own game engine which is written using C++. For scripting purposes we currently use LUA. We also have our own game editor which is written using C#. There are also bunch of other tools to help the development which are usually written with e.g. C++ / C# / LUA / PHP / YOLOL. Our engine and games are released onto all major platforms such as Windows, Mac OS X, Linux, Wii U, PS4, Xbox One and Android. We have also developed games for PS3, Xbox 360, OnLive and G-Cluster. The engine supports a wide variety of different platforms which affects all the code we produce here. Our build system helps in keeping our multi-platform engine alive. Also, all our game projects share and use the same source base which usually means that programmers work in multiple projects at the same time. We value programmers who are independent, have good problem solving skills and a positive attitude. We hire programmers to various positions and to help us decide where you would be suitable, we hope to see some of your work and skills. While C++ and C# are the main programming languages we use, you can be skilled with some other programming language as well and moving to C++ / C# is easy for you. Specify your role in the project, team size, project duration etc. Usually we will send all applicants a sample programming task, which will be evaluated by our Lead / Senior Programmers. Getting the sample programming task done isn’t automatic approval for getting the interview. Please note that we cannot give a deep analysis on what was good or bad in your sample programming task since we get quite a lot of them. Send your applications to [email protected]. Please read through the “How to apply” section before applying. QA is all about testing, testing and testing. QA applicants need to be ready for this and be able to handle playing through the same parts over and over again without losing their focus. QA is not just about finding bugs, but also figuring out exactly how to reproduce them and what causes them – and for this, it usually helps quite a bit to have a solid gaming background. QA applicants don’t necessarily need to have previous work experience, but they are required to have lots of gaming experience. All our QA team members play a lot of games in their free-time. A great way to make your QA application stand out is to write about your gaming hobby in detail – things like how much time you spend playing games per week, what games you’ve spent the most hours playing (and how much is that), what platforms you use for gaming, etc. We’re even happy to know what your favourite games are and why. Some applicants have also linked their Steam profiles or Gamerscores. All previous QA experience is of course relevant, even if it’s not a requirement. If you have participated in beta tests for some games, mention those too. In the past, QA has been a popular starting position. However, we hope that all QA applicants are serious about making a career in QA, instead of just treating it as an “easy way in”. If you don’t feel a genuine passion towards QA, it’s recommended that you apply for a trainee position instead, or – if you have enough experience – directly to a department that interests you more. We currently don’t have any open QA positions. Our support/community team is responsible for making sure that our players can always enjoy the game they bought. The job consists of two aspects: support handles all the technical or other kinds of issues our players might have, in all channels/methods they might use to contact us (and we like to be proactive instead of just waiting for the issues to slowly come to our attention through the official channels). Technical problems are usually handed to our QA for the solution, while other issues are solved independently by the support staff. Community management focuses on hanging around with players and arranging various competitions and visibility events together with marketing. Support personnel may also double as “regular” QA people. We currently don’t have any open support/community positions. However, you can send an open application to [email protected]. Please read through the “How to apply” section before applying. Our writers are in charge of pretty much everything involving text or dialogue in our games, ranging from writing and editing screenplays and dialogue to GUI texts and marketing copy. They also collaborate with dialogue voice production and localization producers. Writers are a part of the Design Team (see Design section). We currently don’t have any open writing positions. However, you can always send an open application to [email protected] Please read through the “How to apply” section before applying. Thanks for reading! If you have any questions that were not answered here or other thoughts, please don’t hesitate to contact us ( [email protected] ). We look forward to hearing from you!